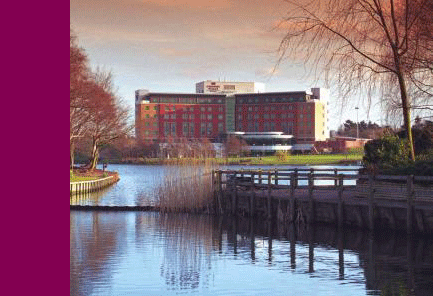 Crowne Plaza Birmingham NEC | Book this airport hotel and save! Overlooking the beautiful Pendigo's Lake, the Crowne Plaza Birmingham NEC hotel is just five minutes from the airport and at the centre of Birmingham's hub of transport. 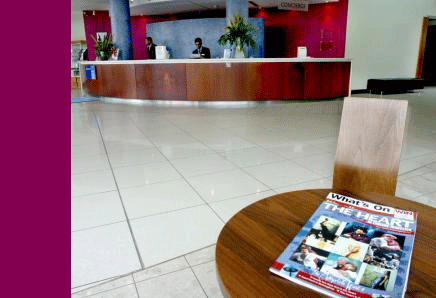 Easily accessible by road, air and train the hotel is a luxurious place to stay before you fly from Birmingham airport. Really happy with the convenience and price. Was exactly as advertised and would definitely use again next time I travel. Yes and yes. We double checked with your online chat service as the stay was past midnight, so theoretically one is staying on two dates. This confirmed the dates we inputted were fine. Hotel very pleasant and parking a cinch. There was plenty of parking available and the car did not need to be moved which was a nice surprise. Everything was very smooth & easy. Hotel/parking/transfers/hotel/flights - delighted start to finish & in fact we are considering the same hotel same time next year! 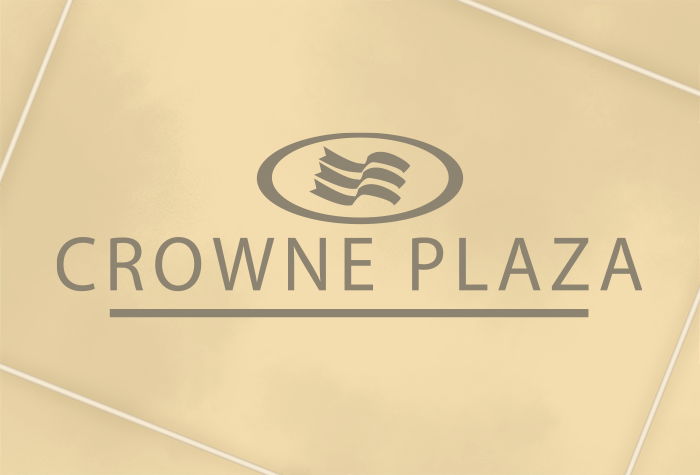 Our customers rated Crowne Plaza on average 9/10 (519 reviews). 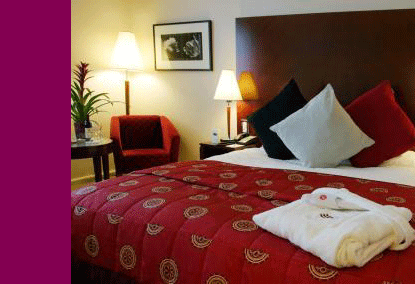 Read Crowne Plaza reviews. 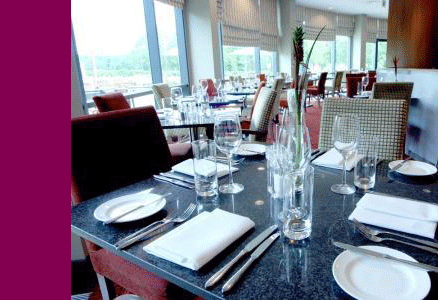 The Crowne Plaza NEC overlooks Pendigo Lake and is just 5 minutes from the airport by taxi, which costs around £8 - £10 each way. If youre travelling by train, Birmingham International is 5 minutes away by taxi, which will cost around £5. Overnight parking is £10 if you need it. This package doesnt include parking. If you need parking for the duration of your holiday, please search our hotel and parking packages instead. Guests tell us the rooms are spacious and comfortable, with soft lighting and large beds. The Eleven Bar and Grill serves a range of continental cuisine and British steaks. Main meals start from around £16.95pp, or get a 3-course meal from the set menu for £20pp when you book in advance with us. Open from 6.30pm - 9.30pm daily. The Lobbyist Lounge Bar overlooks Pendigo Lake, serving beers, wines spirits, soft drinks and Starbucks. There are also pastries and light snacks available. Breakfast is an English and continental all-you-can-eat buffet, served in The Eleven Bar and Grill. Breakfast costs £15pp when booked in advance with us, saving you up to £3.95pp. The hotel has a gym and sauna on site, which are free for guests to use. Disabled facilities Disabled accessible rooms are available. Make your way to the hotel. If you need overnight parking, it costs £10. If youre travelling by train, the nearest station is Birmingham International. Its 5 minutes from the hotel by taxi, which costs around £5. To get to the airport from the hotel, you'll need to grab a taxi, which takes around 5 minutes. The taxi firm the hotel recommends is A2B Cars (their number will be on your confirmation email), who will charge between £8 and £10 and can be booked through reception. Make your way to the hotel, overnight parking is included in the price.